Autumn is in the air! This bold and unique jumpsuit will make your little one stand out just like the colored leaves of fall. An elastic waistband and elastic ankle bands create a comfortable fit that is irresistible. 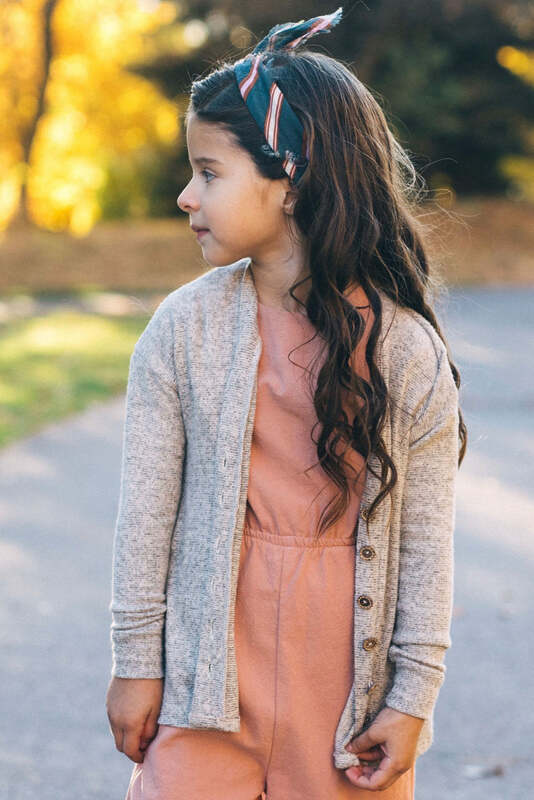 Short, cuffed sleeves and hidden side pockets add the perfect detail, making The Porter Jumpsuit a go-to piece in your kiddo's closet this season! 2T 24" 28.5" 18" 9.5"
3-4 T 26" 31" 20" 12"
5-6 T 28" 35" 22" 14.5"
7-8 30" 39" 24" 17"
Waist stretches up to and additional 2"